What did you do today that has planted seeds that will mature for you in the future? 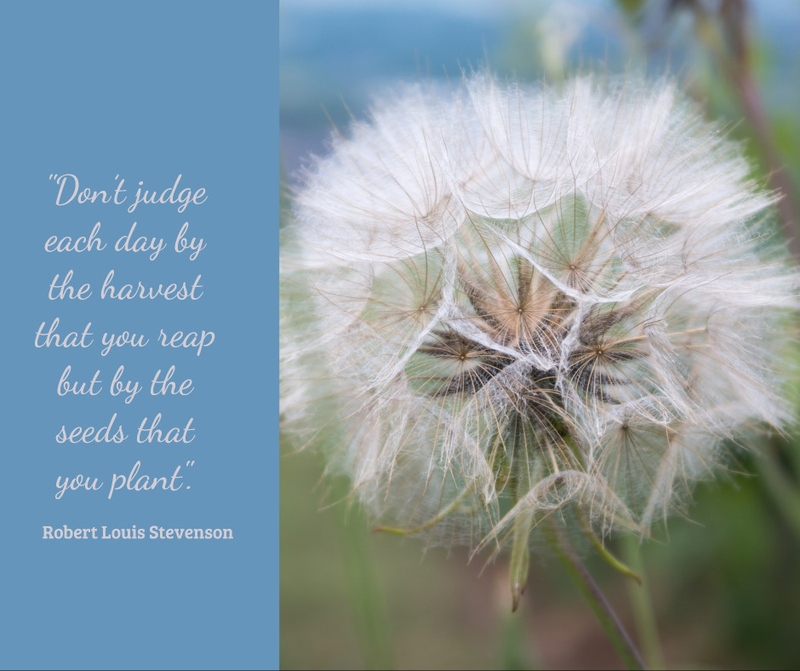 What seeds can you plant tomorrow that will bring you a harvest in the future? This is not living in the future but living today, and doing things today that will ensure your future “now” is all you want it to be. Could you stop smoking or lose weight for a future harvest of health? Do you want to improve your education? What can you do today to begin that?